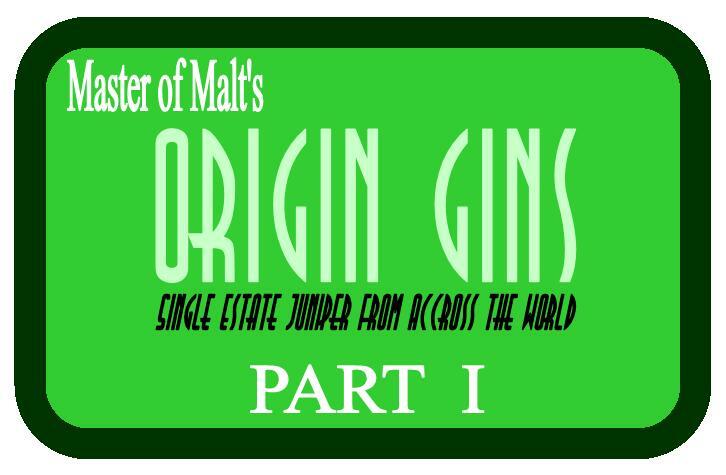 Yesterday, we looked at Master of Malt’s Cream Gin, which easily deserved its own article, and I mentioned that it would be my penultimate post on the products of Master of Malt for the year. 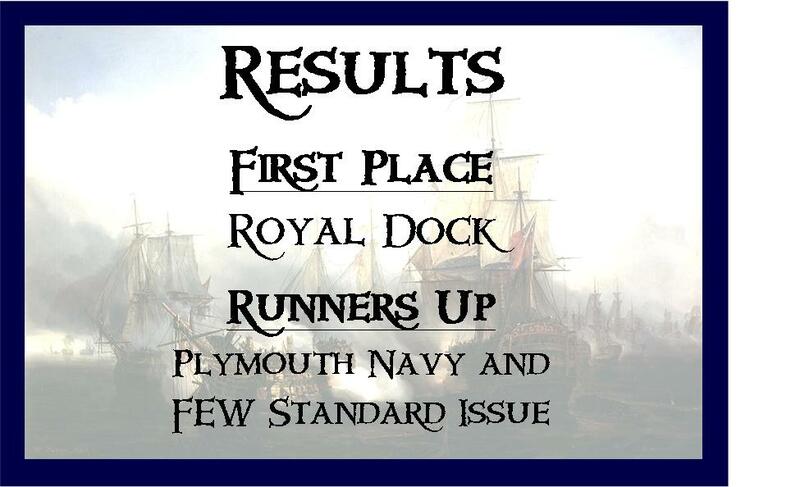 This here is the final one, which will be a bit of a round-robin. 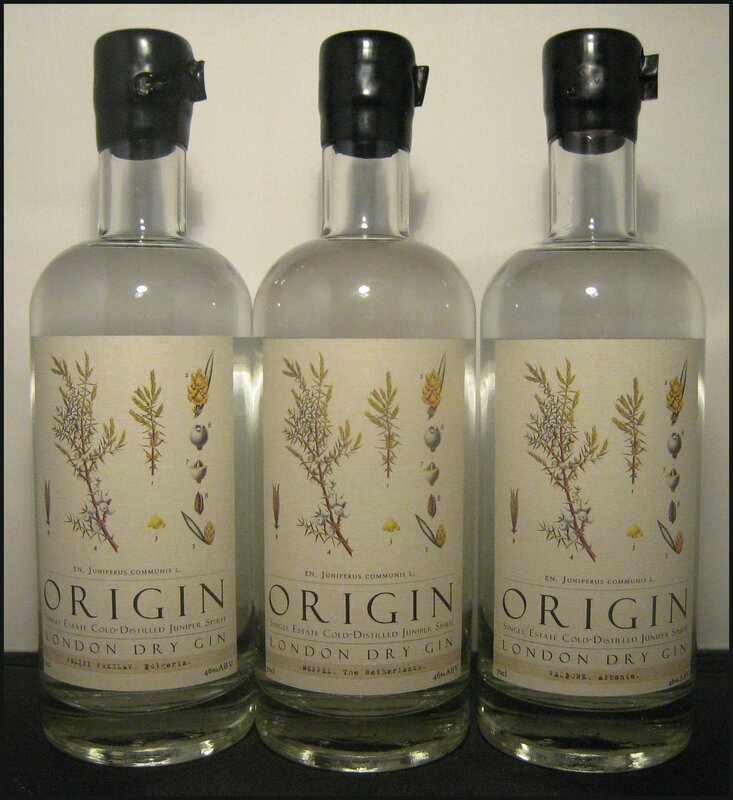 We kick off with Origin Gin, an innovative project launched in July at the Juniper Society’s 2nd Birthday that has been touted by many gin pundits as one of the most exciting gin launches of the year. 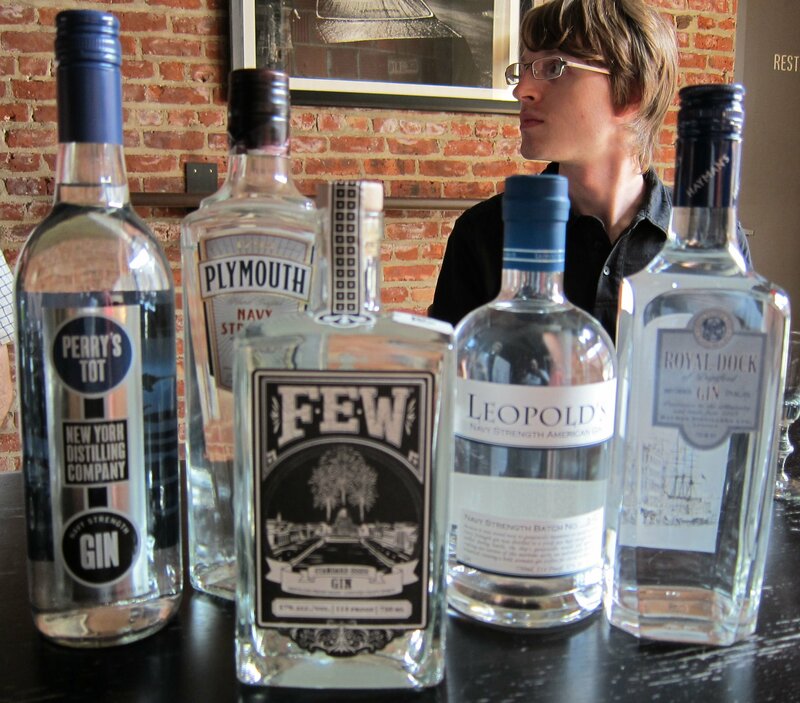 Each of the following gins are made in small batches using juniper berries sourced from very specific geographic regions, thereby highlighting the difference that different sources of juniper can make to a gin. They are sold as single-botanical gins (or juniper distillates), but are delivered with a separate small bottle of distillate of other botanicals, which you are free to add (or not), as you choose. I tasted each both on their own and with the additional distillate. Nose: A light nose of green juniper. Taste: A real juiciness upfront, followed by pine, a little heat and then a dry finish with a hint of anise. Nose: Deeper notes of pine, plus coriander, too. 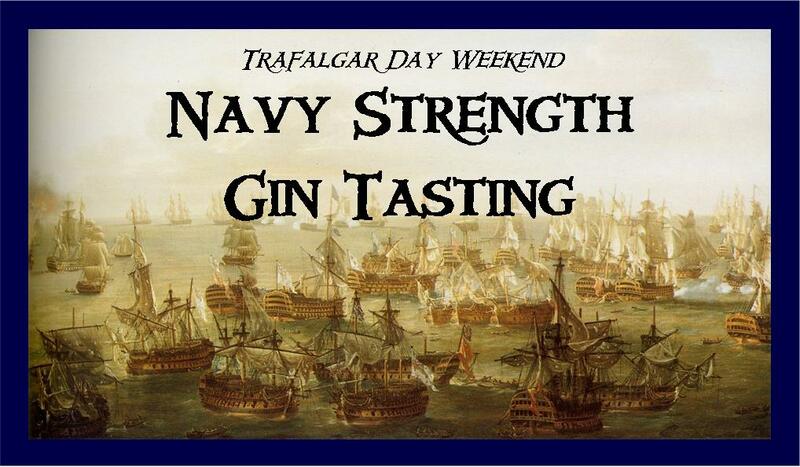 Taste: Juniper, then some salt and pepper, followed by coriander, citrus, anise and a hint of cardamom. 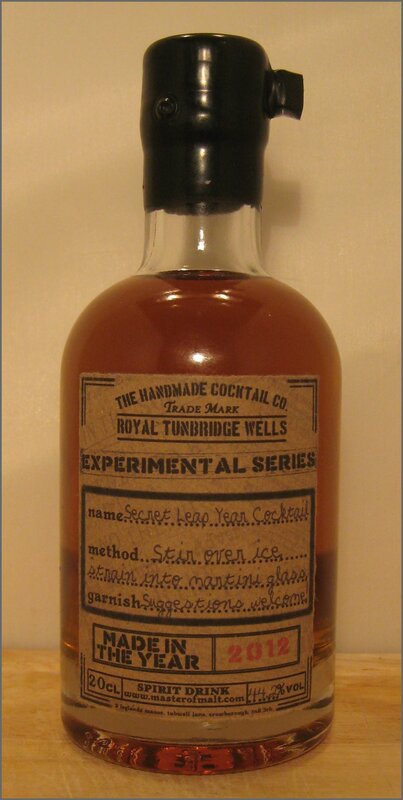 On this occasion, I think that the mixed version is more to my taste than the juniper distillate on its own. Nose: Rich, green leaves and pine needles, with a hint of citrus and vanilla. Taste: Very smooth and clean. 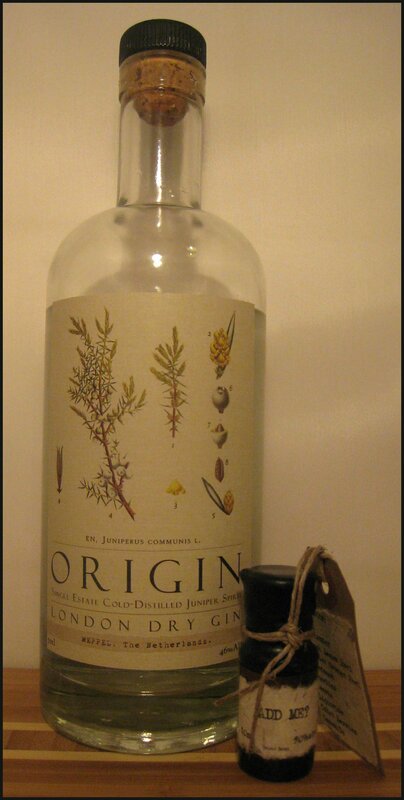 The juniper is there, but in a much lighter form, with a little warmth at the end, as well as some vanilla and spice. The finish is long and spicy. Taste: Very warm and spicy; the additional botanicals make an amazing difference and it’s interesting how they bring out some of the more subtle spice and vanilla notes in the original distillate. A good illustration of the Origin project. Nose: Slightly sweet, with green leaves and a few, light floral notes. Taste: Fruity, with green pine mixed in, too, and a very slight floral note. Very succulent, for a single-botanical gin. Nose: Pine mainly, along with some more savoury notes. Taste: Quite succulent (juicy – almost in the way a steak is! ), with a little saltiness and then juniper interwoven with the cardamon and other spice notes – good potential for use in a toddy. 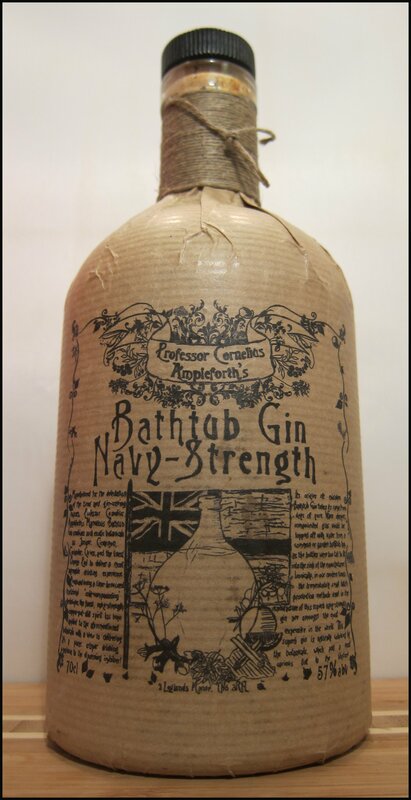 This product made to the specification of the London Gin Club / The Star at Night, who we visited here. Nose: Pine, with coriander and a slight floral hint. Taste: Zesty to start, with a good dose of spicy cardamom then some coriander and juniper. This is quite an intense gin with a lot going on, but, at the same time, is easy to drink. Pleasantly, this brings something new to the table, which is becoming increasingly difficult. Building upon their [Bathtub Gin], Master of Malt have gone down the sugar-sweetened route (a more than acceptable choice in my opinion). Nose: Cinnamon, warming spice and some inviting sweetness and coriander. 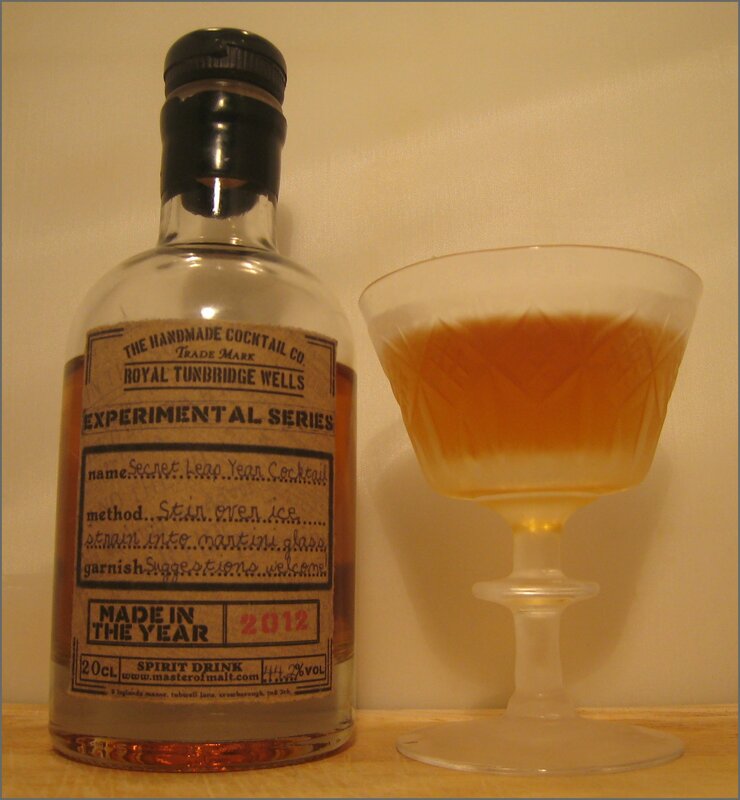 Taste: Quite pungent botanically, with dry, piney juniper upfront. Then there’s notable notes of spicy, slightly soapy coriander, some warmth and some sweetness that are followed by the Christmas spices of cinnamon and nutmeg and then more sweetness. It’s very warming from the alcohol, but doesn’t burn. It has a medium-length finish of cilantro. Carrying on the stirling work of the like of Haymans 1850 and Citadelle Reserve, Master of Malt also released a cask-aged gin, marrying the two aspects of gin and wood rather well. 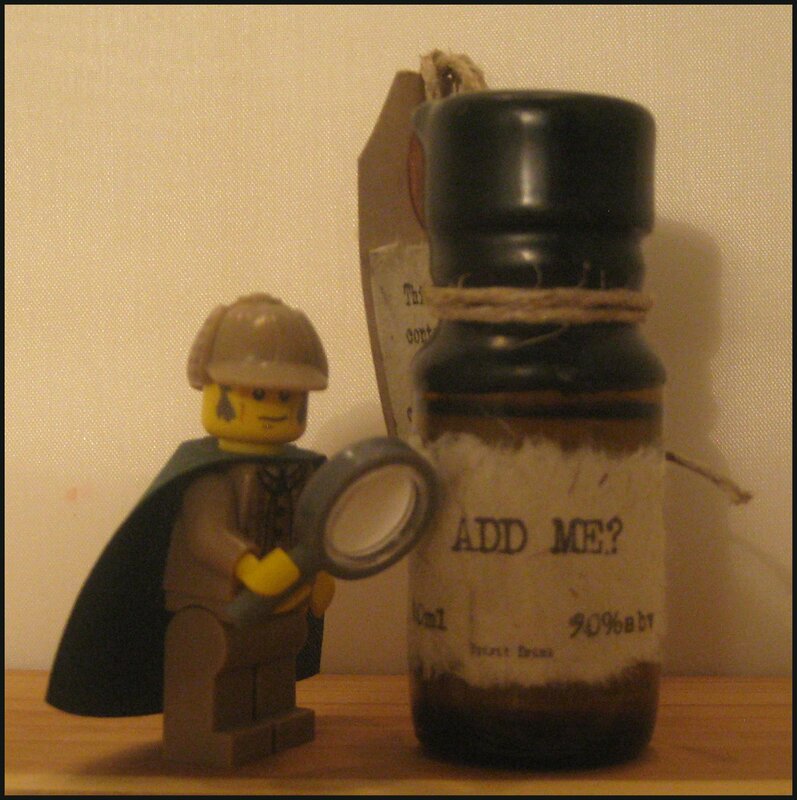 This method of flavouring gin also has growing popularity in the US. Of course, it is worth noting that Seagram’s Extra Dry Gin (the best selling gin in the US) is rested in wood before bottling. Nose: Very pleasant: some spicy elements that remind me of cinnamon swirls are accompanied by both a little sweetness and some dry juniper and citrus. Taste: Soft to start, with an initial sweetness that’s followed by an oaky vanilla note that reminds me a lot of whiskey. This is very, very flavourful, with some darker woody notes in the middle. The finish is very dry, with a hint of black liquorice, some warmth from the alcohol and a touch of spice. 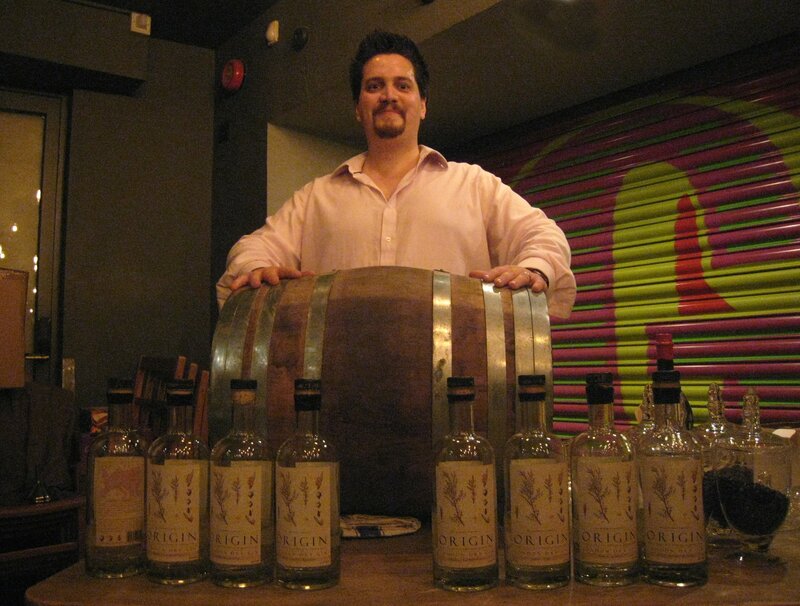 So that wraps up a year of creations by Master of Malt – who knows what 2013 will bring? 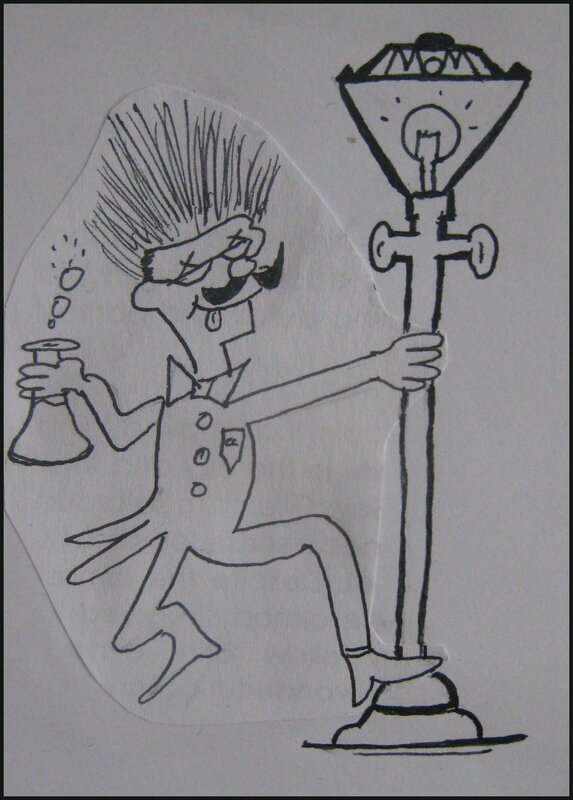 I have spoken many times on the innovations of Master of Malt, not just in the Gin field, but in many others, too. 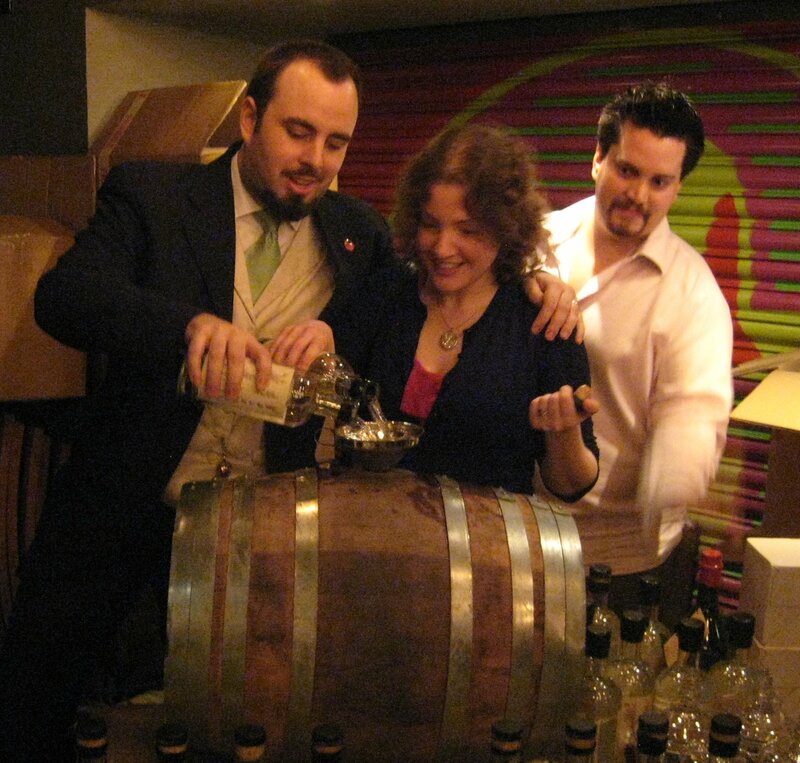 One idea that I found out about earlier this year and particularly liked is the concept of an individual or organization commissioning a Gin. In some ways, this is not new (Diner’s Club had this going on in the 1980s), but these days the personalization goes beyond the label or bottle, and now extends to the actual recipe. This is a service that Master of Malt offers and was recently taken up by The Spectator Magazine (a political newspaper) on behalf of their readers. Spectator Gin starts off as a gin made with juniper and pepper spice, which is then infused with Earl Grey tea and lemon balm. It is bottled at 42.4%ABV. Nose: Lemon citrus and herbal notes. This is very full to start, being zesty with some pine in the background. Taste: A slightly nutty flavour is accompanied by orange and tannin (the Earl Grey making itself known) upfront, followed by dry juniper. There’s then some sweetness and salty black pepper notes towards the end, before more dry juniper appears on the finish. This drink is jammy and citrusy, a little like lemon curd with some dry juniper. It’s rather lively and refreshing, too. I found that it was best to use a clean tonic (e.g. Fevertree or Q) rather than a citrus-heavy one (e.g. Britvic or Fentimans) and plenty of ice, but no garnish. Crisp and citrusy at the start, as many good Martinis are, with a follow-up of slightly nutty tea and a hint of spicy nutmeg. This Gin works rather well in this drink. This makes quite a sweet Negroni, in which the tannins from Earl Grey come through a lot more. The bitter flavour takes a long time to build, but certainly becomes quite powerful if you give it some time. Interestingly, the citrus is very subdued in this drink. Spectator Gin makes an intriguing Negroni that takes a bit of time to appreciate, but, on balance, I quite like it. 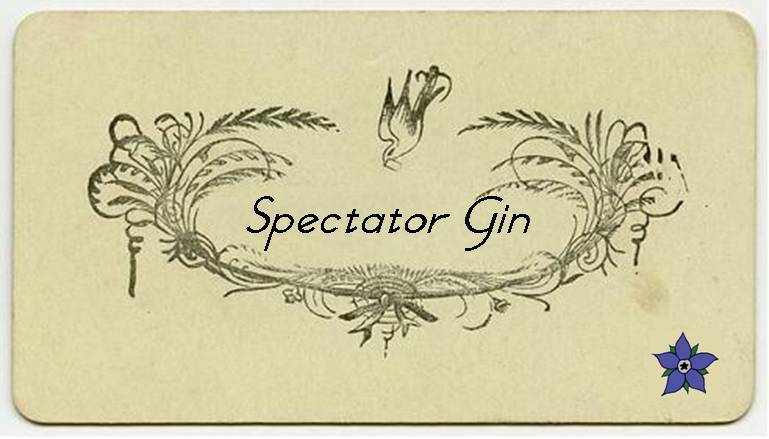 I like the Spectator Gin and it is very different to the very similar concept of the Heston Blumenthal gin (Master of Malt, to their credit, thought of it first!) with the lemon being more dominant but at the same time you don’t get the soggy teabag smell (of Heston’s) either. 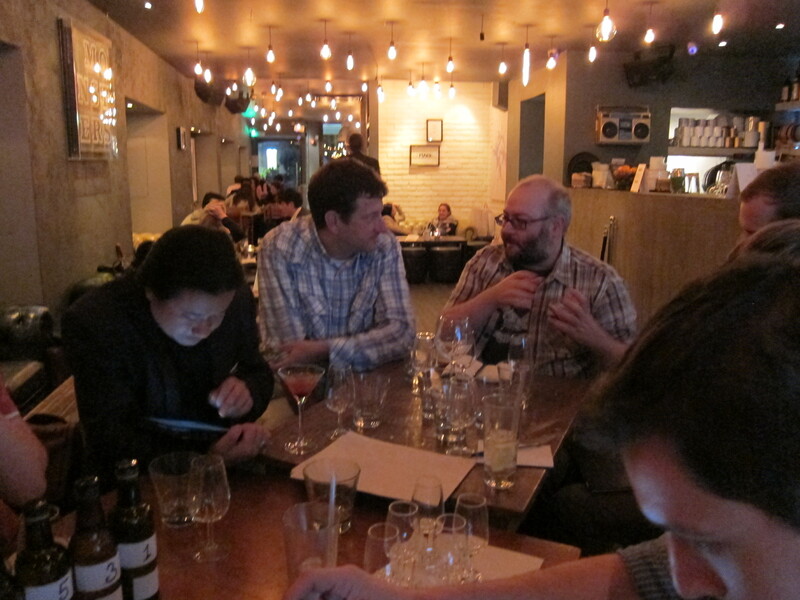 It won’t be for everyone but I liked the Negroni best. 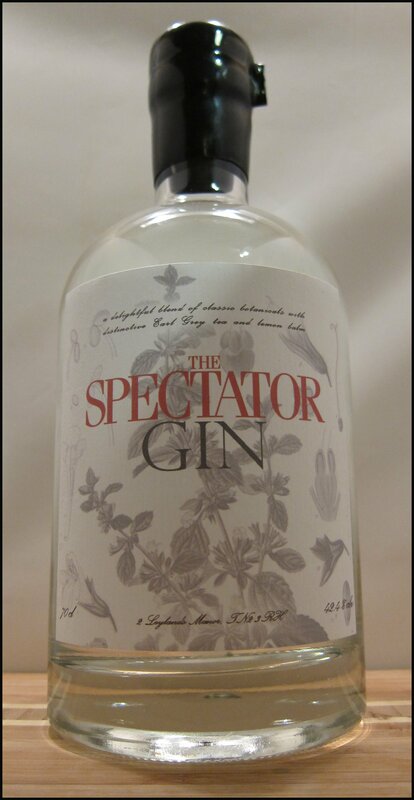 The Spectator Gin is available from Master of Malt for around £25 for 70cl. 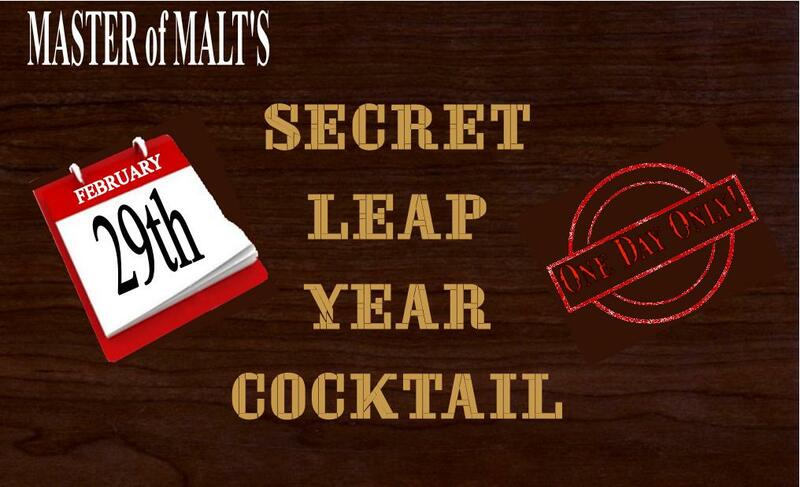 Master of Malt’s – SECRET LEAP YEAR COCKTAIL! The accompanying letter told me that this is a special bottled cocktail available for sale for one day only (29th February; a day we only get once every four years). 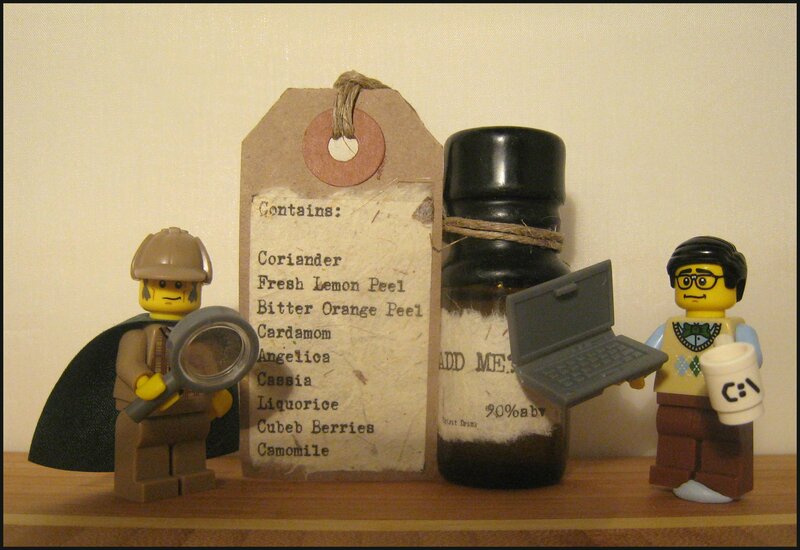 The cocktail contains five mystery ingredients and anyone who purchases a bottle gets a chance to guess what they are. The author of the suggestion that is closest to the truth will get the honour of naming the cocktail when it is released for general sale later in the year. The cocktail will be released for sale tomorrow (Wednesday 29th February) for one day only and is available on the Master of Malt website.